A fruity, earthy Pinot Noir with a cherry palate and a bright, New World finish. Estate grown in the Willamette Valley, Wine Enthusiast Magazine's #1 Wine Region of the World! 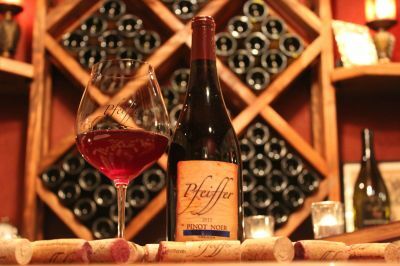 Recommended Pairing for all Pinot Noir: salmon, lamb, tri-tip steak, duck, cream or mushroom sauces, brie cheese.